Statistics show that more people are choosing to go on cruises. Even those who have never tried a cruise before are being tempted into booking one and starting to see just why they’re so popular. 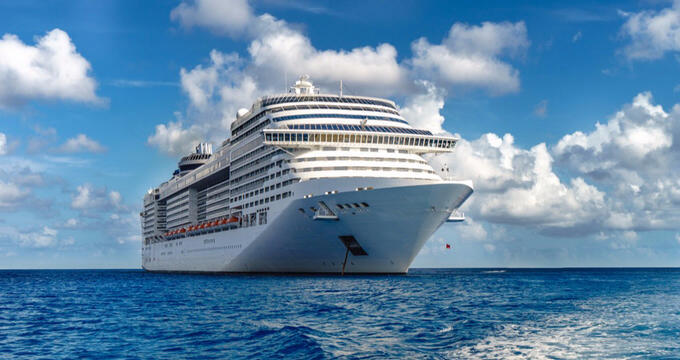 Cruises have a lot of advantages: they’re convenient, comfortable, luxurious, easy to go on, and they’re also becoming more and more affordable over time as well, with lots of different options available all through the year. February isn’t a particular popular month of the year as it tends to be quite wet and rainy in many places, so it’s a good time to book some time off work and get away from it all. Even if you can’t get time off, weekend cruises are also available, and February is a super time of year to pack your bags and head off to spend some quality time with your loved ones in a sunny, warm, tropical paradise like a Caribbean island. See below for full details and itineraries on a few of the best February cruises you might like to take. When it comes to cruises, Royal Caribbean is one of the top names in the business. Synonymous with luxury and exceptionally high standards of customer service, Royal Caribbean excels in every aspect of the cruise world, and if you want to see and experience just how amazing a Royal Caribbean cruise can be, choose the '7 Night Western Caribbean' cruise. This is one of the most popular cruises that runs each February, with countless past passengers leaving 5-star reviews after experiencing this cruise for themselves and recommending it to all of their families and friends. This cruise takes place on board the exquisite Liberty of the Seas. Equipped with all of the features and facilities that have helped to make Royal Caribbean such a big name in the cruising world, the Liberty of the Seas makes every day magical. You'll find so much to see and do on this Freedom-class cruise ship. It features a huge water park area for the children, multiple swimming pools, gorgeous staterooms with balconies and floor-to-wall windows for incredible views, lots of excellent live shows and entertainment, fitness machines and sport courts for people to stay fit and active, a spa, restaurants, bars, and more. This February Caribbean cruise leaves from the port of Galveston on the coast of Texas, offering easy access to the western side of the Caribbean Sea. The cruise makes a total of three stops, with the first of those stops coming at Roatan, one of the Bay Islands of Honduras. The clearest, cleanest, most turquoise waters you've ever seen in all your life will be waiting for you at Roatan, along with some stunning white sands and lots of sunshine too. Next, you'll stop at Costa Maya in Mexico to enjoy some delicious local cuisine and soak up the sunshine. Your final stop will be Cozumel, another Mexican Caribbean destination known for its pure, white sand beaches and excellent scuba diving spots. Maybe you don't have too much time to get away in February and just need a short cruise to recharge your batteries and enjoy some fun in the sun. After all, many people don't get a chance to take much time off work at this time of year, so a mini cruise is a great way to spend a long weekend with the family or that special someone in your life, and this '3 Night Caribbean & Antilles' is an excellent example. This cruise may only last for a few nights, but it includes two different stops over the course of that journey and a lot of opportunity for fun and enjoyment, all at a great price. This cruise lets you travel on board the outstanding MSC Divina. One of the top ships in the MSC fleet, the Divina lives up to its name and really is divine in every sense of the word. Lavishly decorated both inside and out, this ship is fitted out with a full range of features, facilities, and amenities to ensure that every single passenger has an amazing time and heads home with some magical memories, even on a short cruise like this one. This February cruise sets off from Miami in Florida and makes a total of two stops before heading back home. The first stop of this February Caribbean cruise is at Freeport on Grand Bahama Island. The biggest city on Grand Bahama Island, Freeport is a great spot for all kinds of classic Caribbean activities like snorkeling, sunbathing, strolls along the beach, watching the sunset, and more. The second and final stop of your journey will be at Ocean Cay, which is actually a private MSC Marine Reserve location, available exclusively to MSC guests. Also in the Bahamas, this luxurious private island destination never gets too busy or noisy, so you can really live out your island fantasies here and enjoy some romantic moments with your partner or fun and games with your friends. Always one of the most popular cruise destinations, the Caribbean islands and nations are home to some of the best beaches and most beautiful snorkeling spots anywhere in the world. When you think of the Caribbean, you imagine white, soft, silky smooth sands and clear turquoise waters, and that's exactly what you'll be able to enjoy on this amazing '4 Night Western Caribbean' February cruise from Carnival. This cruise sets off from Miami, FL and makes two stops in total. The '4 Night Western Caribbean' cruise lets you enjoy the features and facilities of the Carnival Victory. One of the top ships in the Carnival fleet, the Victory is equipped with all of the features that have helped to make Carnival one of the world's leading cruise lines, with this ship especially excelling in the dining department. Whenever you get hungry, you'll have a lot of different options to choose from, including classic American-style hamburgers, Japanese sushi prepared by a highly trained team of chefs, or fine dining, gourmet-style cuisine, perfect for romantic nights with your partner. You'll also find swimming pools, live entertainment, and much more on board this ship. This February cruise makes its first stop in the Sunshine State city of Key West. Right down on the southern tip of the Florida Keys, Key West is actually the southernmost spot in the whole of the contiguous United States, so it's also one of the warmest and sunniest areas in the nation, and there are some fun things to do here like ride the trolley and try some Key Lime Pie. Next, you'll head off into the Caribbean Sea for a stop off at Cozumel. A Mexican Caribbean island, Cozumel is a great spot to enjoy the wonders of island life, with stunning white sand beaches, great food, super snorkeling spots, and lush vegetation all around.